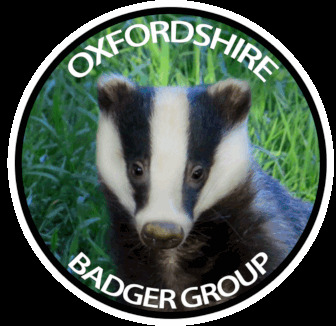 OBG organises regular sett survey events - join us on an enjoyable footpath walk and do your bit to help record where Oxfordshire's badgers are living. Details of the next meet are as follows. For more details contact the organiser (Debbie) or email OBG. Details of the meet will be circulated in advance. We usually meet about 10am and sett survey for a couple of hours before meeting back for coffee and a catch-up . Please bring walking boots/shoes and clothing thats suitable to the weather and terrain. Water or other drinks recommended. Binoculars, smart phone or notebook and pen also useful. Enlarged maps of the particular grid squares or paths we're most interested in will be provided. You may want to bring your own map if you have one. Depending on numbers we split in to groups, each lead by an experienced sett surveyor, so don’t worry if you haven’t been sett surveying before. Please follow the country code . Paid up members are covered under our public liability insurance - you may be asked to join or renew on the day. Do you know of setts that you could monitor and if necessary defend during the cull ? Please report the location and status of your local setts to OBG. Then check them regularly for interference (such as digging or blocking or snaring). If you are in a likely Cull zone we would ask you to consider defending the sett nearer the time - just being out in Hi-VIs or regularly checking for evidence of laying down bait (peanuts) by shooters could save many, many lives. If you know the ground in any of these areas please send us an update on badger sett locations and activity. If you can join us on Survey day please do! Sett reports can be submitted on line to OBG or the Badger Trust via the links on this page.